The thought of sampling vinegar dribbled straight into a spoon is enough to draw anyone’s face into a squeamish pucker. But traditional balsamic vinegar of Modena, aceto balsamico tradizionale di Modena, is not just any vinegar, and it’s anything but bitter. Instead, it’s considered the king of vinegars and one of Italy's most important culinary legacies. 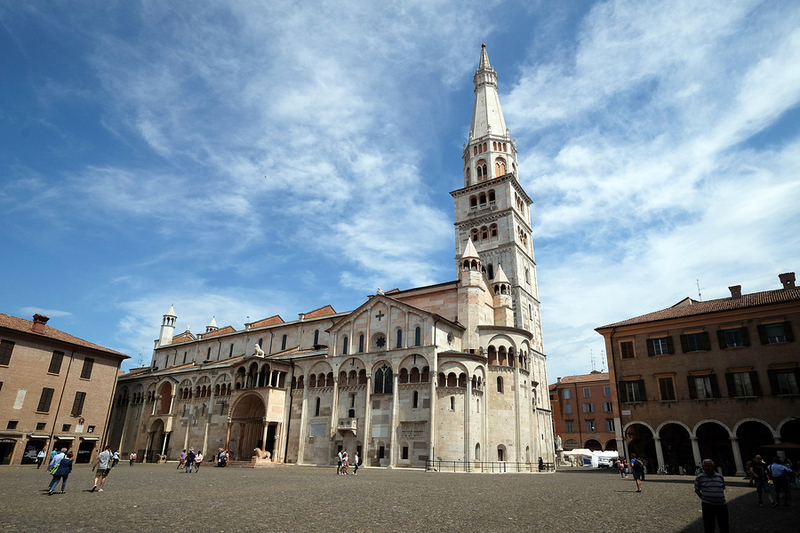 Modena stands at the heart of Italy’s breadbasket, the central region of Emilia-Romagna. The flat, sweeping farmlands between Parma and Bologna produce some of Italy’s most prized culinary traditions, including world-famous Parmigiano-Reggiano cheese and prosciutto di Parma. Traditional balsamic vinegar of Modena completes Emilia-Romagna’s holy trinity of culinary delights. 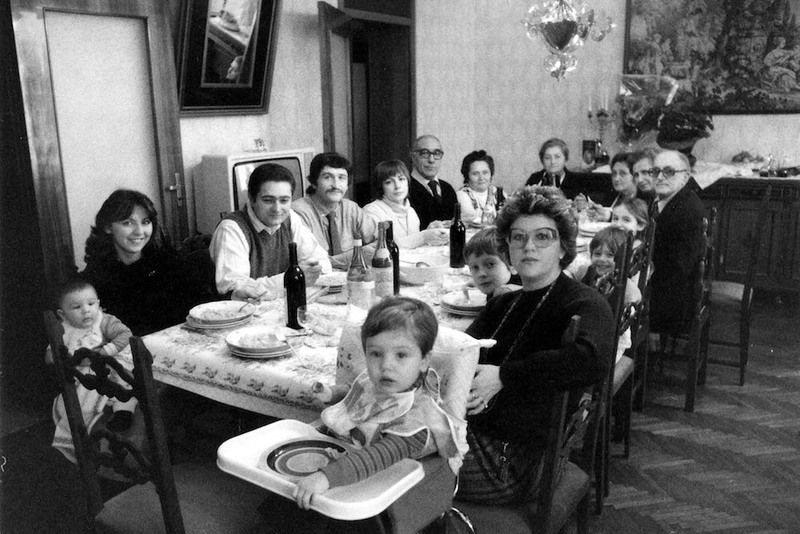 Malpighi’s great-great grandfather started with a few small barrels of vinegar in his attic in 1850. When it was finally ready—half a lifetime later—prized bottles were shared with family and friends. Ever since, making vinegar has been a Malpighi family affair, and today, their estate comprises a neat-as-a-pin brick villa, and a series of outbuildings housing rows of vinegar casks. Nearby, vines hang heavy with grapes, colorful pheasants forage beneath a grove of acorn trees, and white swans glide across a still pond. Behind its peaceful, unassuming façade lies one of Modena's leading acetaie, or producers of traditional balsamic vinegar. But vinegar-making was going on long before Malpighi’s ancestors poured boiled grape juice into their first barrel. Historical Modenese documents attest that aristocrats exchanged it on important occasions as far back as the eleventh century. Traditionally, the best balsamic vinegars were made at home and were considered the ultimate gift. People willed the precious juice to their heirs, and it was even included in women's dowries. For me, one of the most fascinating aspects of traditional balsamic vinegar is that its success depends on future generations to carry it. 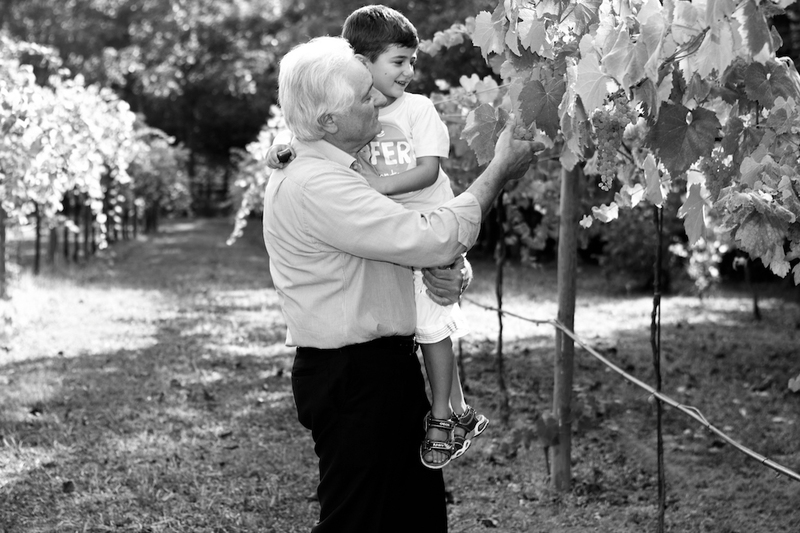 The person who grows the grapes is trusting that his or her grandchildren are going to bottle the finished product! So, what does it mean to carry the torch of vinegar-making tradition from one generation to the next, and how does this actually happen? It’s all about involving the kids, the vinegar-makers tell me. Balsamic vinegar begins on the vine with ripe, white Trebbiano grapes. The vinegar is made by boiling grape juice, and moving the juice year after year into increasingly smaller casks made of different kinds of wood, including oak, cherry and chestnut. Each producer boasts a different combination of casks and woods, as it is the wood itself that affects the flavor and aroma of the final product. These carefully guarded family secrets hold the key to each producer’s signature flavor and quality. Often the barrels are stored in attic-level storage rooms, where they are exposed to summer heat and winter cold. As it ages, anywhere from ten to 25 years, the vinegar becomes more concentrated, richer in flavor, and more expensive. Rich, syrupy, fragrant, and almost black, its distinctive taste is immediately recognizable. In recent decades, traditional balsamic vinegar of Modena has come to be treated in the same way as fine wines--with highly controlled production and labeling methods. The local consortium monitors every producer from grape harvest to end product, assigning a designation much like the D.O.C. moniker for fine wines that serves as a quality symbol recognized around the world. Today, several dozen producers are authorized to carry the label, all in an 80-kilometer zone around Modena. Most, like Acetaia Malpighi and Villa San Donino, are family-run operations started by ancestors generations ago. Labeling: Authentic traditional balsamic vinegar of Modena is not to be confused with the so-called “balsamic vinegar of Modena” that you find on supermarket shelves.What’s the difference? It’s the word tradizionale that’s missing from the mass-produced vinegars—a small distinction, but a big difference. Look for the consortium logo, the distinctive packaging, and the words aceto balsamico tradizionale di Modenato assure you're getting the real thing. Volume: Only about 20,000 bottles of the artisanal product a year are produced, compared to a huge production of 30 million bottles of the commercial product exported to supermarkets from Asia to North America. Color and Flavor: Commercial vinegars are made from wine, with added artificial colors and flavors. The real stuff is made with nothing more than aged, pure grape juice, accounting for its sweet, not bitter flavor. Price: You can pick up a small bottle of 25-year-old traditional balsamic vinegar directly from an acetaiain Modena for about half what it retails for in an American culinary catalog or retail store. In contrast, mass-produced vinegars go for just a few dollars or euro in a typical grocery store. Supermarket-grade vinegar is great for everyday use in cooking and salad dressings. Traditional balsamic vinegar breaks down when cooked, so you’ll want to save it to use as a condiment instead. You can drizzle it over postage-stamp-sized shavings of Parmigiano-Reggiano cheese, or as a dressing for steamed vegetables, pan-fried frittate and meats for special dinner parties. 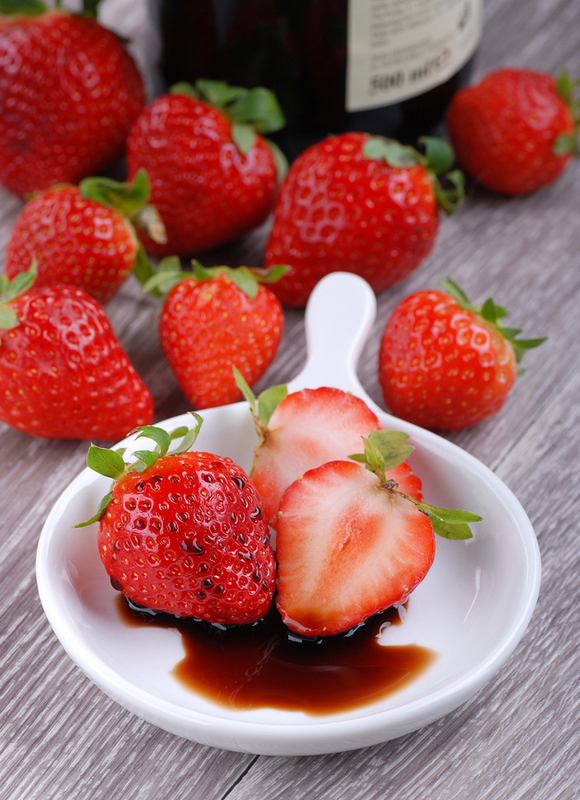 One of the most surprising uses for balsamic vinegar is in desserts and sweets. You can even serve it over strawberries and vanilla gelato. 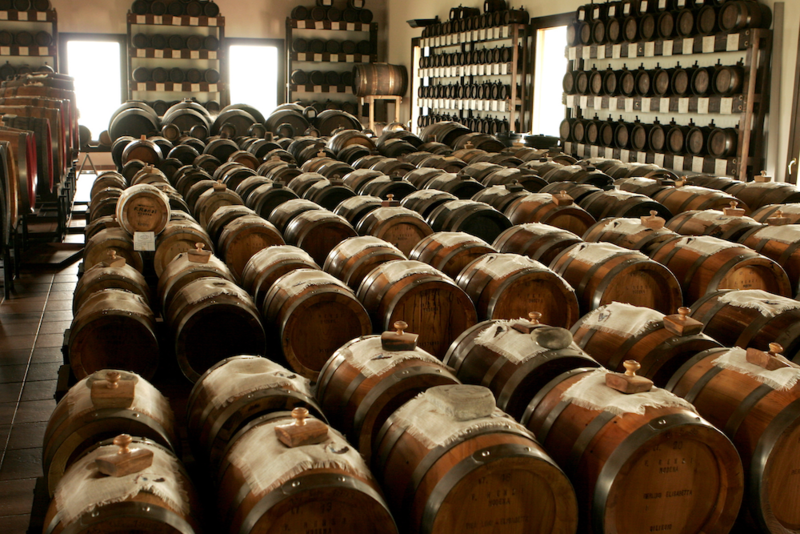 Today, hundreds of producers of traditional balsamic vinegar call Modena home. Families proudly and lovingly carry the legacy of their ancestors by assigning a special place in their homes for the slow maturation of this luscious liquid. Today, we enjoy the final product thanks to family tradition and to those individuals whose passion and purpose carries it on to future generations. "It is a job that cannot be carried out if there is no history, tradition, if there is not so much passion behind it,” explains Malpighi. “Without the generations who preceded me, those who have transmitted this important legacy to me, I would not be what I am today. It takes so much time to produce a perfect traditional balsamic vinegar. Without passion, none of this would be possible." Arrange a visit to one or more of the region's producers. Most of these are family enterprises without marked storefronts or signs, so reservations are essential. A good way to arrange a visit in advance is by contacting one of the official consortia: either the Consorzio Tutela Aceto Balsamico Tradizionale di Modena (Via Virgilio 55, 41100 Modena 59/208604); the Consorzio Produttori Antiche Acetaie Aceto Balsamico Tradizionale D.O.P. (Strada Vaciglio Sud 1085, 41126 Modena, 59/395633); or the Consorteria dell’aceto balsamico di Spilamberto(contact through the museum below). 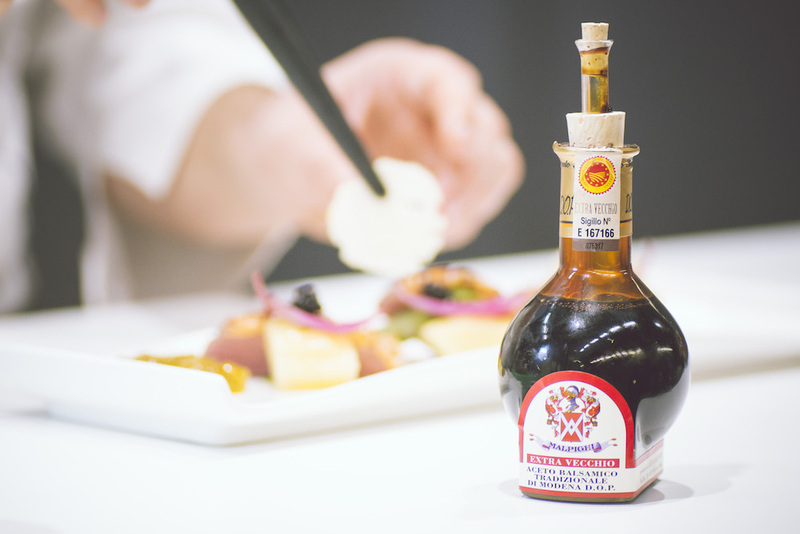 The consortia establish minimum standards for balsamic vinegar production, and their inspectors put the stamp of approval on every bottle that comes to be called aceto balsamico tradizionale di Modena. Visit the Museo del Balsamico Tradizionale just outside of Modena in the town of Spilamberto (via Roncati 28, 41057 Spilamberto, 59/781614). This off-the-beaten path gem of a museum offers guided tours with tastings. Worth a detour! If you want to sample traditional balsamic vinegar along with some of the other gastronomic pleasures of the region, head to the Mercato Albinelli (via Luigi Albinelli 13, 41121 Modena), where local food vendors have created a gourmand’s paradise. You can sample local sausages and cheeses, pick up prepared dishes and wine for your picnic basket, and of course, purchase aceto balsamico tradizionale di Modenacrafted by a handful of local producers. And if you thought balsamic vinegar was only for salad, think again. The Antica Pasticceria San Biagio pastry shop (via Emilia 77, 41121 Modena, 059/217284)--a feast for the senses--will stretch the limits of your imagination about uses for balsamic vinegar. It's incorporated into pastry cream and piped into flaky crusts. It's used as a filling for dark chocolate. It's even served by the spoonful straight from the bottle if you visit at festival time. In the fall, check dates for Modena’s annual “acetaie aperte” events, when many of the local producers of aceto balsamico tradizionale di Modena open their doors simultaneously. At the fall Festival del Gusto, outdoor stands pair the local specialty with wines, cheeses, and other delicacies. Restaurants plan special menus in which every course features this syrupy condiment. Crowds of people hold miniature spoons in their hands, and watch in anticipation as someone dribbles a dime-sized drop of black syrup from a tiny glass jar. Inevitably, they close their eyes and smile as they enjoy this concentrated drop of Italy straight from the spoon.